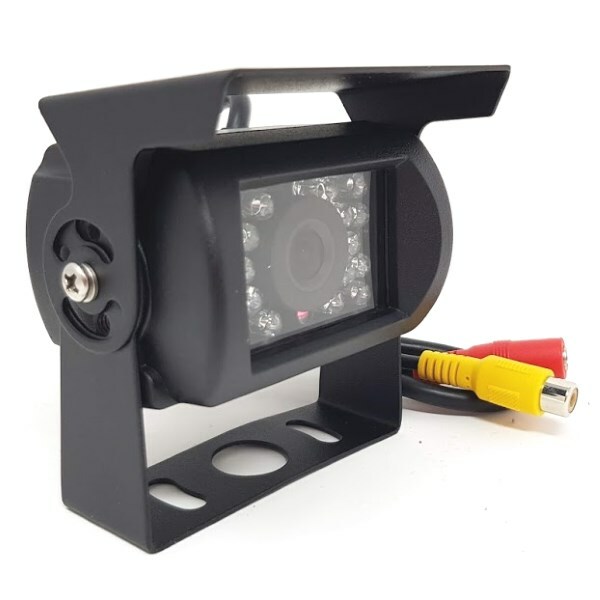 This CMOS bracket reversing camera makes the ideal basis for a low cost reversing camera system if cost is an important factor. Unlike other low cost bracket cameras we have these made with a stainless steel bracket. Mild steel brackets have a habit of rusting quickly. It has a wide angled lens which is quoted as 120 degrees by the supplier. It uses a good quality CMOS sensor and has 18 IR LEDs for night vision. The night vision is not as good as a CCD camera, but will be of some assistance. It is supplied with a short power lead, but you will need to purchase a suitable RCA cable for the video. We occassionally have clearance versions at a discount. These can be selected via the drop down menu. THEY MAY BE OF A DIFFERENT SPECIFICATION. They will be on clearance usually for paint marks, new customer returns (change of mind) or old stock. Also they may be of a lower specification like a mild steel bracket.